Freedom For Yvonne, Germany's Runaway Cow : The Two-Way The search for Yvonne, the cow that dashed to freedom just before she was to be transported to a slaughterhouse in Germany, has been called off. Yvonne has been living in the Bavarian forest for nearly 100 days, resisting sophisticated attempts to capture her. 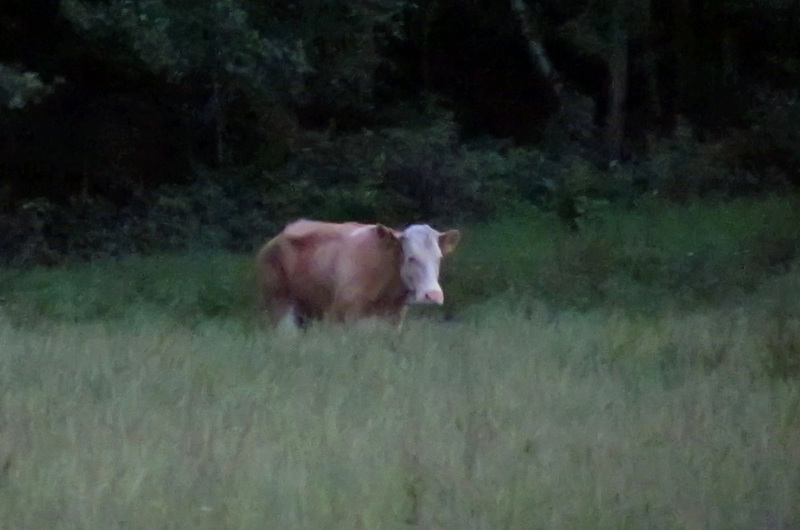 Yvonne, a cow that has lived in the wild since eluding a trip to the slaughterhouse in May, has foiled all attempts to capture her. Now officials say that she's not to be disturbed. 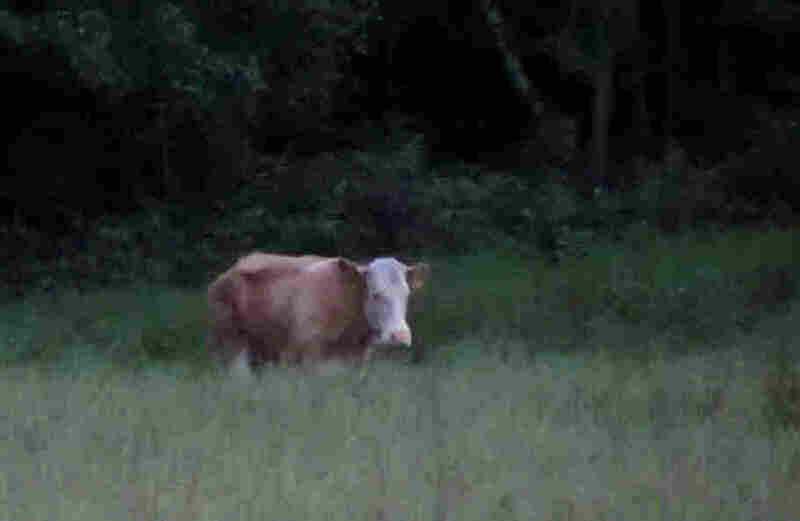 The search for Yvonne, the six-year-old cow that dashed to freedom just before she was to be transported to a slaughterhouse in southern Germany, has been called off. The cow has become a star, drawing international attention to Zangberg, the Bavarian commune where she made her escape. Yvonne has been at large since May 24. But she made headlines in late July, when she ran across a highway and nearly collided with a police car. That led authorities to deem her a threat — and they issued a call for hunters to shoot the cow on sight. That order was later suspended, partly due to a public outpouring of support for Yvonne. But Monday, the local government made the suspension permanent — and forbade anyone to hunt her with deadly force. "The Mühldorf district office requests that the animal not be disturbed in its current habitat," according to an official statement relayed by Der Spiegel. Entreaties delivered via animal psychic, who relayed that Yvonne "didn't feel ready" to return to the world of humans. Bovine lures, including an (allegedly) attractive bull ox, her "sister cow" Waltraud, and Yvonne's calf, Friesi. But all to no avail. In the end, Yvonne was deemed to be "as nimble as a weasel" by animal sanctuary CEO Dieter Ehrengruber, according to Bild. A week ago, in the dead of night, one intrepid tracker crept into the woods to stalk her. She appeared out of the mist, and stared him straight in the eyes. She walked off before he could fire a dart at her. He reported that she now looks more like a buffalo than a cow, and has evidently turned into a wild animal in her months on the run. Around the same time, employees of Gut Aiderbichl, a nearby animal sanctuary that paid for Yvonne in late July, took a photo of her at the edge of a corn field. But she wouldn't allow them to get close to her. Authorities say the search for Yvonne will be suspended until at least October — when the cornfields that have offered the cow both sustenance and refuge are due to be harvested, according to German media reports. Animal experts say they believe it will be easier to tempt Yvonne to leave the forest when winter comes. Saying that Yvonne's "urge to be free is strong – even for a cow," the blog at Gut Aiderbichl notes that "If we don't disturb her, she will continue to live in her paradise world — a quick tour in the forest, and then over to the ripening cornfields. She also has enough water." If she's ever captured, Yvonne will be taken to Gut Aiderbichl, where she has been invited to live out her days. The sanctuary has already purchased her sister and calf. And by October, there may be a more reliable stream of news, from Germany and elsewhere, that could relegate the cow's saga to the back pages of newspapers (and the occasional blog) that have been desperate to find lighthearted stories this summer.